It's half term so today was our Thomas day. Puzzles this morning, Macdonalds for lunch and Wimpole Hall this afternoon. Before coming home to play trains with Grandad. He was fascinated with the cows at the farm. And enjoyed the adventure playground. We loved it but we are all quite tired now. What a lovely "Thomas day" had by all - A lovely collage to show this , You all will enjoy a good night's sleep tonight ! Sounds like all parties enjoyed the day. 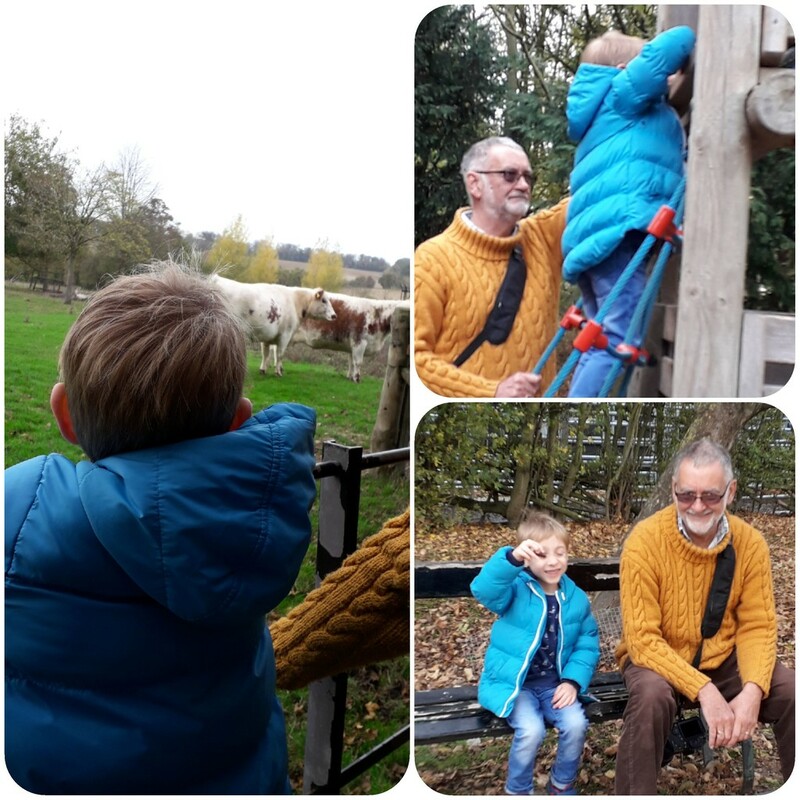 It's tiring looking after the young ones but we get lots of pleasure from our grandchildren so enjoy your rest tonight after a full day exploring! I recognise that man !! Sounds like a fun day with Thomas. @beryl Thanks Beryl. We love having him. And he had a nap in the car on the way home! @happypat We all had a lovely day. Thomas enjoyed the farm and the playground. @dizzyd Yes Helen. Den loves it when we have Thomas for the day on his own, and Thomas loves Grandad's trains. Nice images, Mave. We just enjoyed four days with our granddaughters (9 and 10). @gijsje Thanks Bep. You are lucky, as we are with Den's grandchildren. My grandchildre live further away and we don't see them so often. @hermann @foxes37 Thank you for commenting. At six years old he is getting to be more of a "little man". Such a lovely collage Sounds like you had a very nice day..
@wendyfrost Thanks Wendy. We do things we might not do when we look after the grandchildren. Looks like a very fun day for all of you. Sounds like you and Thomas have had a lovely day. A nice set of images. @merrelyn @susiemc Thank you so much. We had fun. What a great day! Grandkids are wonderful but my husband always needs nap time afterwards! LOL! @gardenfolk Thank you. We all needed a nap but Thomas got his first!